i lose the another 100!!!! Muito bonitos os caes e a fotografia. Beautiful dogs! I am a dally fan! I have one of my own (and many pictures here of him, you should check them out!) 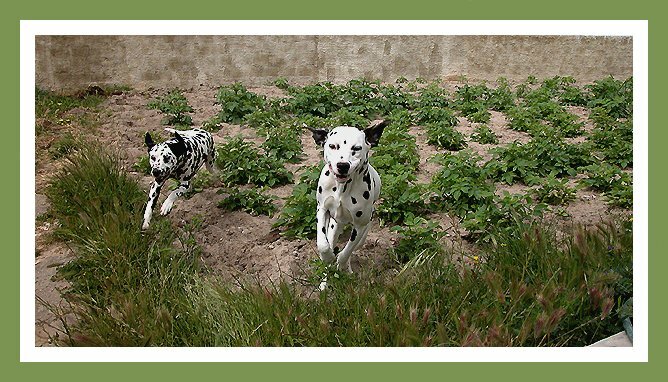 I love the composition, and overall photo shows off that dalmatian characteristic VERY well!